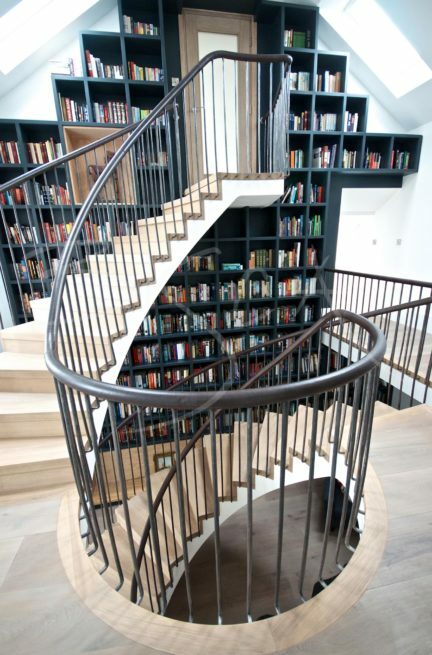 Feature Helical Stair Design for North Yorkshire Farmhouse. 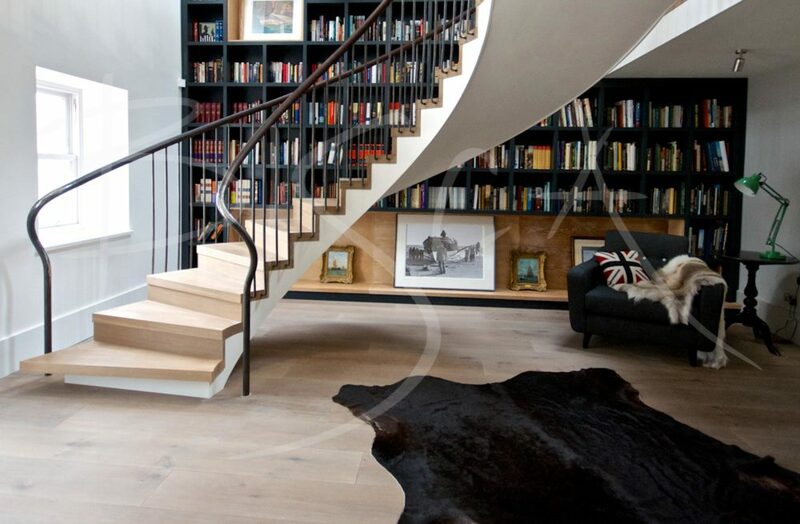 A multi flight helical stair design in a rambling North Yorkshire farmhouse. The property undergoing complete renovation required a new staircase in the entrance hall. 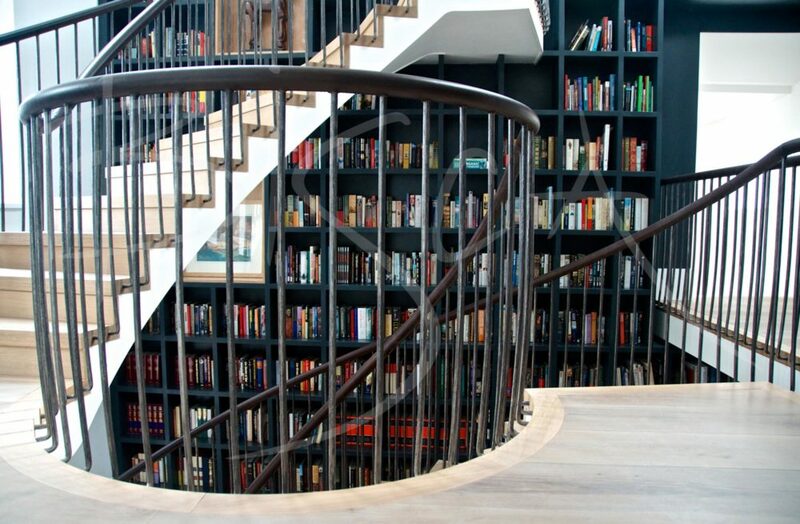 The position of the stair lets in maximum light from a small window – important given the dominance of a solid wall of books. White painted sculptured soffits on the underside contrast with oak treads and risers. The treads themselves are square-edged with the risers slightly setback for a clean, modern appearance. Forge worked balustrade uprights have an organic texture and a subtle curve. They spring from the sides of the treads and bend tightly to the vertical. Leather handrails rise from the ground floor, spliced with forged and formed mild-steel newels. Burnished newels feature both mill scale and bright highlights. Highlights are strategically placed to create the illusion of having been created by generations of hands passing up the staircase. 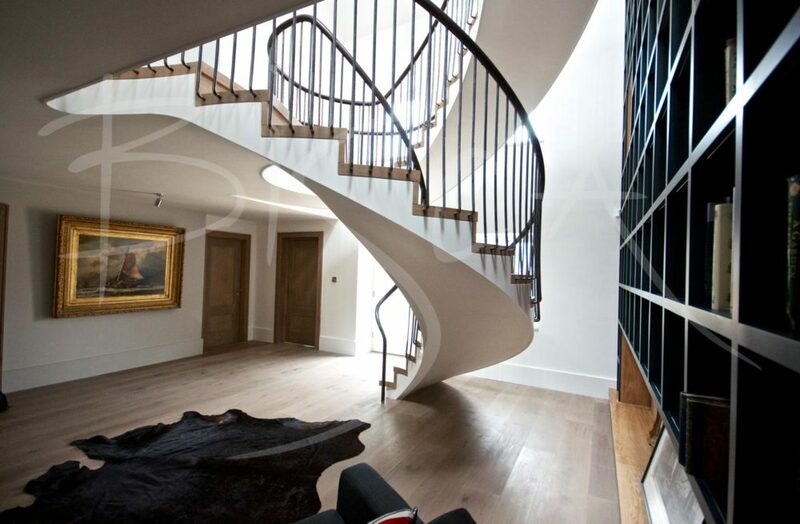 For a guide price for a helical stair, or a staircase or balustrade based on this design, please quote ref 3196.